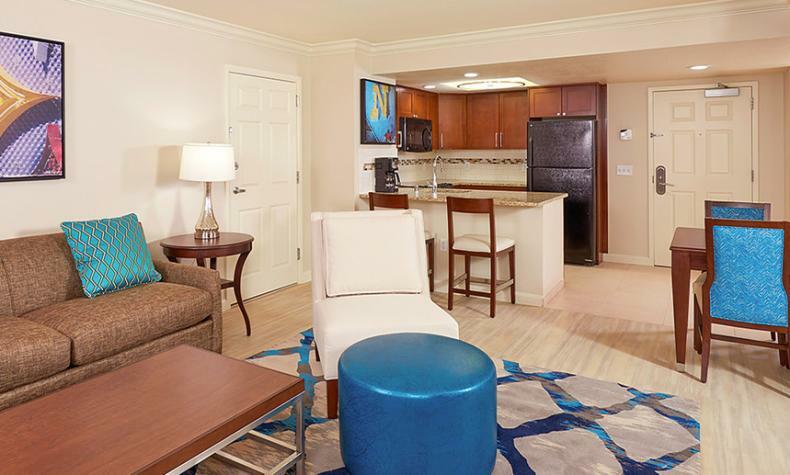 A half mile from the exciting Strip and Las Vegas Convention Center, Hilton Grand Vacations on Paradise offers studios and full kitchen suites, a heated pool and spa, picnic areas with grills, and fitness center. Adjacent to the Monorail, access to restaurants, shows, nightclubs and gaming is just steps away. The Convention Center is also nearby, making HGV on Paradise a great choice for group events and meetings.